This Blue Forest project will provide 6, 6 bedroom low-energy woodland lodges adjacent to the Hothorpe Hall stately home in Leicestershire. Hothorpe Hall host large scale events and the new scheme will provide 30 additional bedrooms as well as an exclusive wedding and events venue. 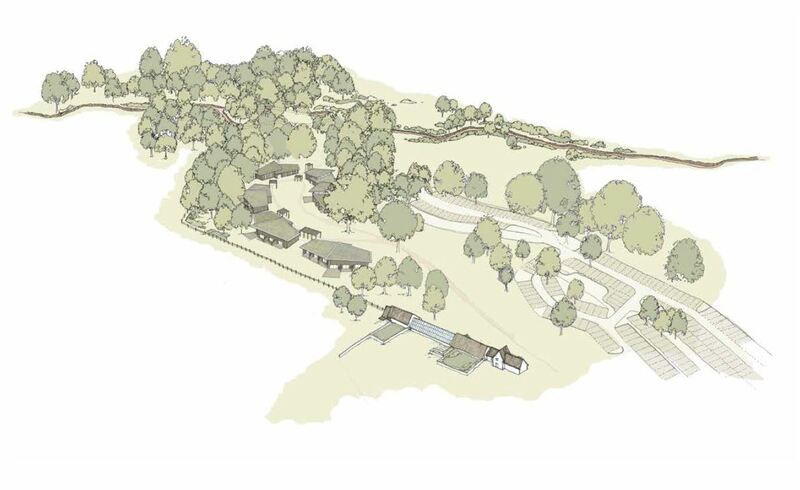 Each lodge will have individual views to the surrounding countryside and woodlands. New visitor paths and landscaping will make a magical space for relaxation and retreat. The project is being developed in collaboration with Jerry Tate Architects.